On 8th September 2016, the presentation ceremony of new innovative office desks with personal air‐conditioning system was held in TAKASAGO i‐Kohza. This new innovative office desk was developed for energy saving by Takasago Thermal Engineering Co., Ltd. (TTE) with Mitsubishi Jisho Sekkei Inc. and the Tanabe Laboratory at Waseda University. 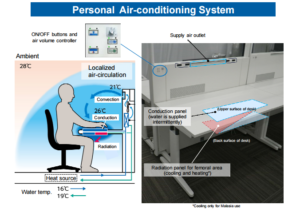 This personal air‐conditioning system provides thermal comfort to occupants locally as per their preferences. 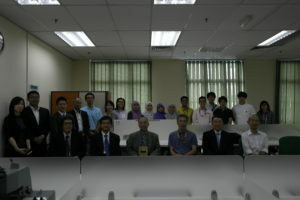 TTE donated the desks to TAKASAGO i‐Kohza.